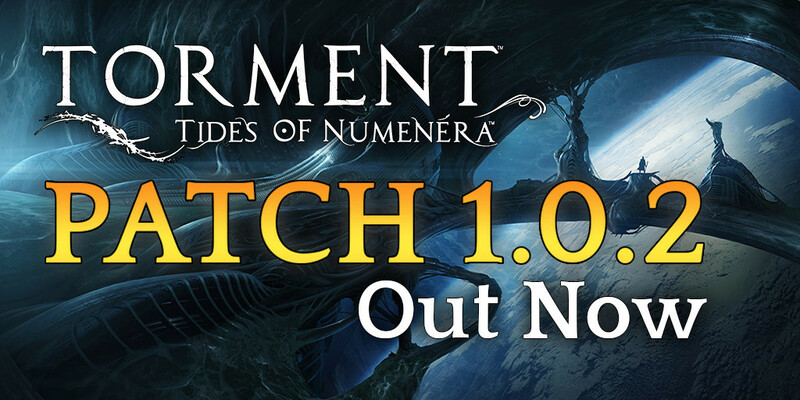 Today we have our first post-release patch for Torment: Tides of Numenera. This update focuses primarily on bug fixes and other tweaks and improvements. Those of you experiencing a number of issues, particularly with combat freezes, should find many of those problems reduced or eliminated entirely. In a future update, we will be releasing additional game content free for all Torment players: a new companion, Oom, and the Voluminous Codex, an expanded encyclopedia covering game world information, lore, and characters. Design and writing is in progress on those, and we'll have more information to share in the coming weeks. Can't get past the first crisis. As soon it's the sorrows turn and the spawn disappears the round gets stuck and I can't do anything about it. Tried to save before the encounter and reload. Tried to make a new character, tried to verify the files in steam and also tried it with a new installation. Doesn't work properly on OSX. I got top macbook pro with highest possible stuff and this game works so bad on the lowest graphic settings. I can't even play it. Please proofread and correct the German version. I hope that, even in the near future, the Italian language will be implemented for this magnificent game. Over $40 for this? Really?? I really hope this game is successful enough to have a sequel. Despite being difficult to get into it is one of the best RPGs I have played. Still no walking toggle, I guess? Still no purchase then :).